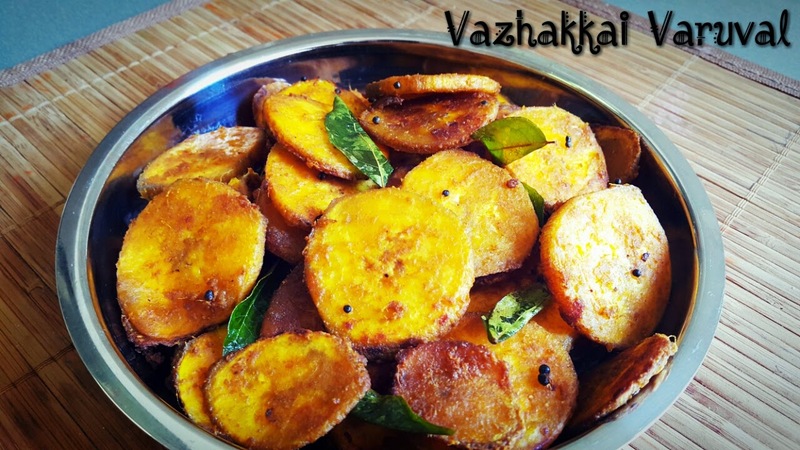 Peel the skin of the vazhakkai/ plantain and slice them into medium size rounds and keep aside. Dont make it too thin or thick. 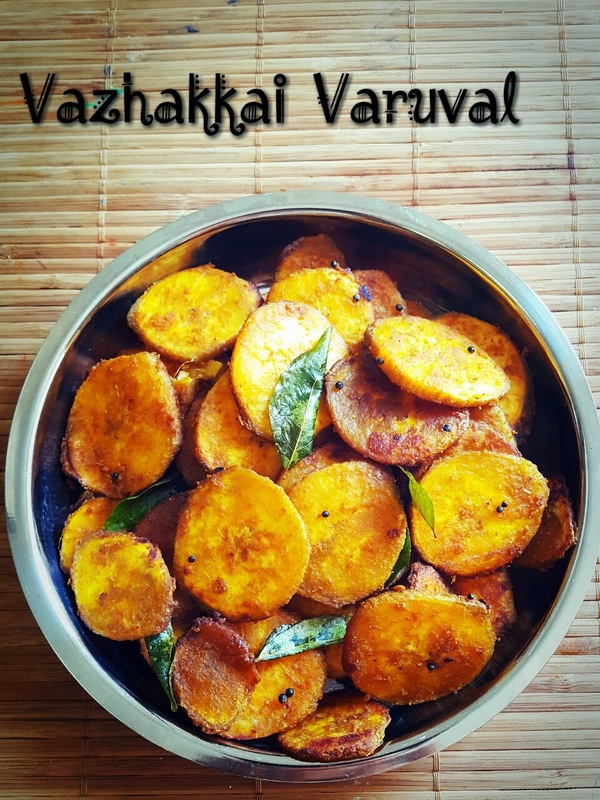 Marinate the vazhakkai rounds with the masala paste and set aside for 15 mins. Now add the oil in a pan and season with the seasoning ingredients, after they splutter add the marinated vazhakkai to the pan and cook with a lid closed for 5 - 10 mins. Now remove the lid and keep cooking on low flame. Use a fork to separate the stuck together pieces. Cook till they are golden and crispy. 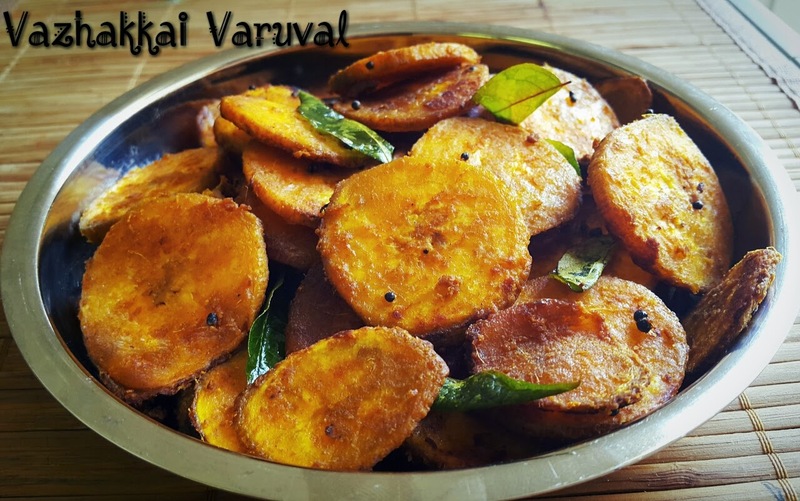 Serve hot with rice and sambar... yummy.